A recent American Medical Association study suggests that it could. 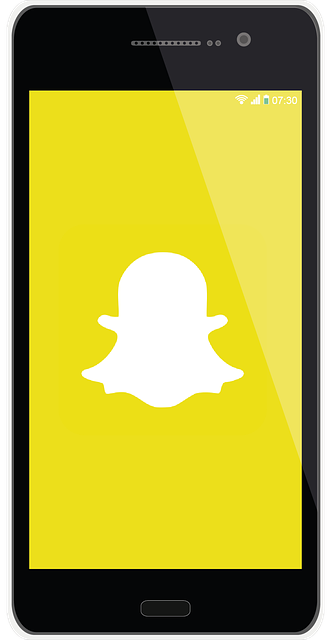 For those who aren’t familiar with Snapchat, it’s a smartphone app that allows users to share pictures and short movies briefly before they become inaccessible. Well, in theory, they disappear. We can explore that in another post. In addition to the transient nature of the shared media, another allure of Snapchat are the filters and effects, text captions, and drawings that users can apply to their photos and video to makes themselves look like better … or like a dog, for example. Or you can get really creepy like I did two years ago when I stumped for ABA Journal Blawg100 votes. Snapchat Selfies and Body Dysmorphic Disorder. Readers of this blog know that the Americans with Disabilities Act is the federal law that makes it unlawful for employers to discriminate against individuals based on a disability. The law goes one step further by requiring an employer to accommodate an individual with a disability when doing so will enable that person to perform the essential functions of the job, all without creating undue hardship for the employer. Among other things, a disability is a physical or mental impairment that substantially limits a major life activity. Obviously, I’m not a doctor. I’m a blogger, which is even better. But, it strikes me that someone who is uncomfortable in their own skin — especially something severe enough to appear in a real-deal medical publication — may have a mental impairment. Add to that the difficulty to interact and work with others, and you’ve got yourself a substantially-limited major life activity. Maybe, you read the title of this blog post and rolled your eyes. But, how many of you are now second-guessing your initial reaction? Use this post as a reminder for you and your managers to resist the urge to prejudge employees who request a workplace accommodation. Rather than concern yourself with the name of the condition, focus on the symptoms and, since you’re not a doctor, rely on a doctor (and a lawyer) to determine whether the condition is a “disability” under the ADA.